Imagine conquering castles from your iPhone. Or slaying demons from the comfort of your iPad. Thanks to Pocket Legends, a new massively multiplayer online game, you can draw swords with friends across a variety of platforms and connection types. So next time you want to slay the undead with your trusty battleaxe, you can do so anywhere and anytime. 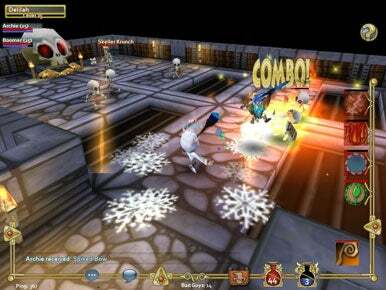 On Thursday, Spacetime Studios announced Pocket Legends, a 3D MMO for the iPod touch, iPhone, and iPad. This cross-platform role playing game boasts the ability to play with your friends or make new ones online over wireless 3G, or Edge networks. The game is free to play with in-app purchases and is now available for download at the App Store. Built specifically for mobile platforms, Pocket Legends offers cooperative gameplay in a fantasy setting that includes magic, talking animals, and the undead. The Elf Queen Alterra has called upon animal heroes to take up arms against bands of mercenaries, zombies, yetis, and demons that have invaded the lands. 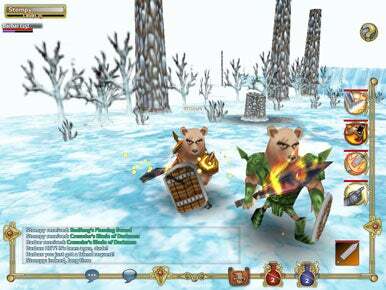 You can go on quests, conquer lands, slay evil, and collect loot in a remarkably good-looking and deep 3-D world. 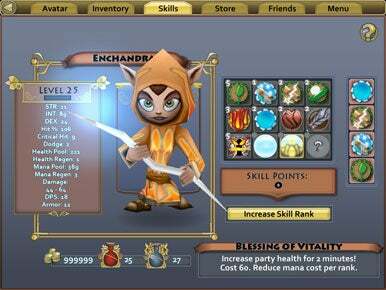 There are several classes to choose from as well, including the bird-like archer, elven enchantress, and bear warrior. Barnes bravado isn’t misguided—the MMO genre has been sorely lacking on mobile platforms and it’s ambitious to even try it given the limitations of the iPhone and iPad. Whether or not Pocket Legends is as addictive and deep as something like World of Warcraft remains to be seen; even the attempt is a step in the right direction for mobile gaming.